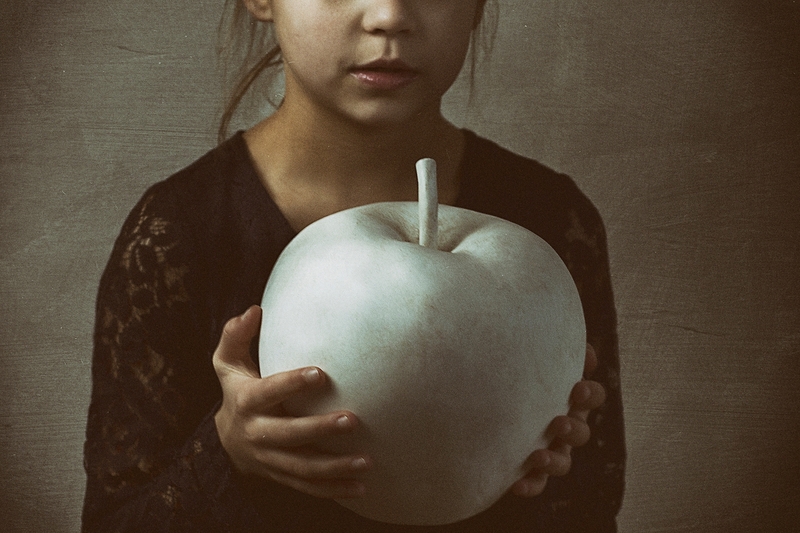 That a picture with a girl holding a big white apple can be such a captivating picture. The image has a kind of mysterious feel with its dark dimmed colors. Would fit well in a living room or bedroom as an interesting picture.